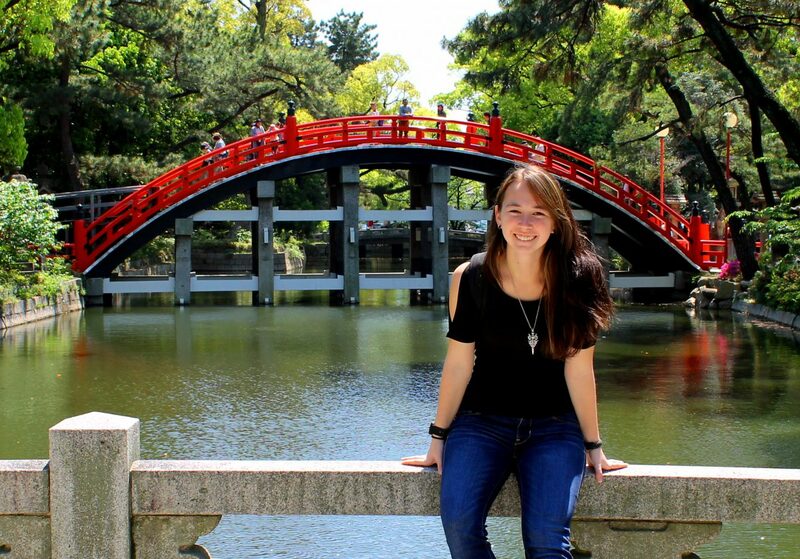 Are you ready to start planning your trip to Japan? 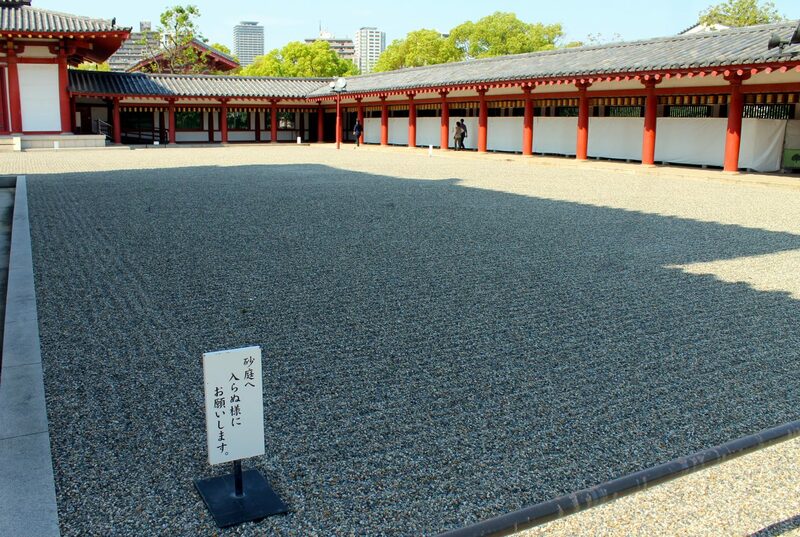 I suggest starting off the first day by getting up bright and early and heading to Sumiyoshi-Taisha. 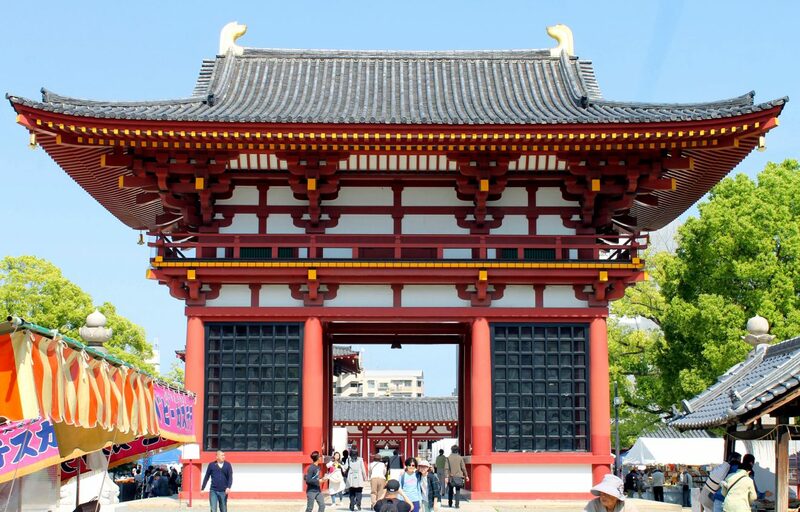 It has a really cool red bridge that leads to the entrance of the shrine. Once inside, you can ring the bell and pray (which involves clapping twice, bowing twice, and then bowing again after you’ve said your prayer). It also has a beautiful garden area. 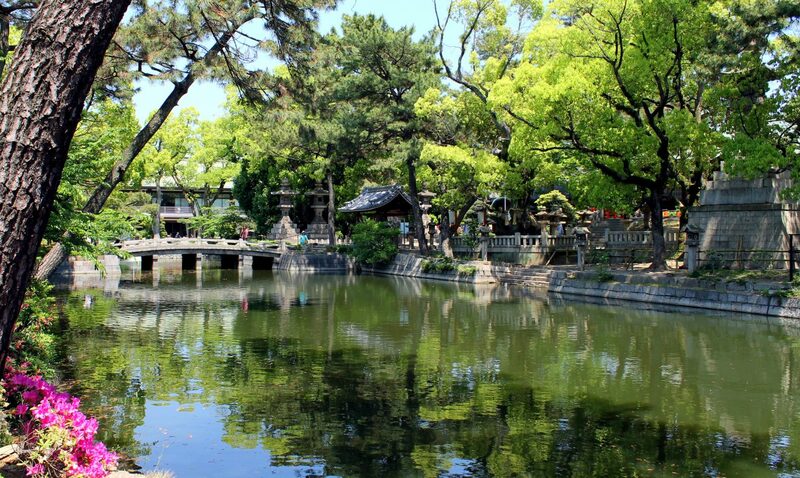 The buildings are all traditional style and there is a big pond right beside the building. 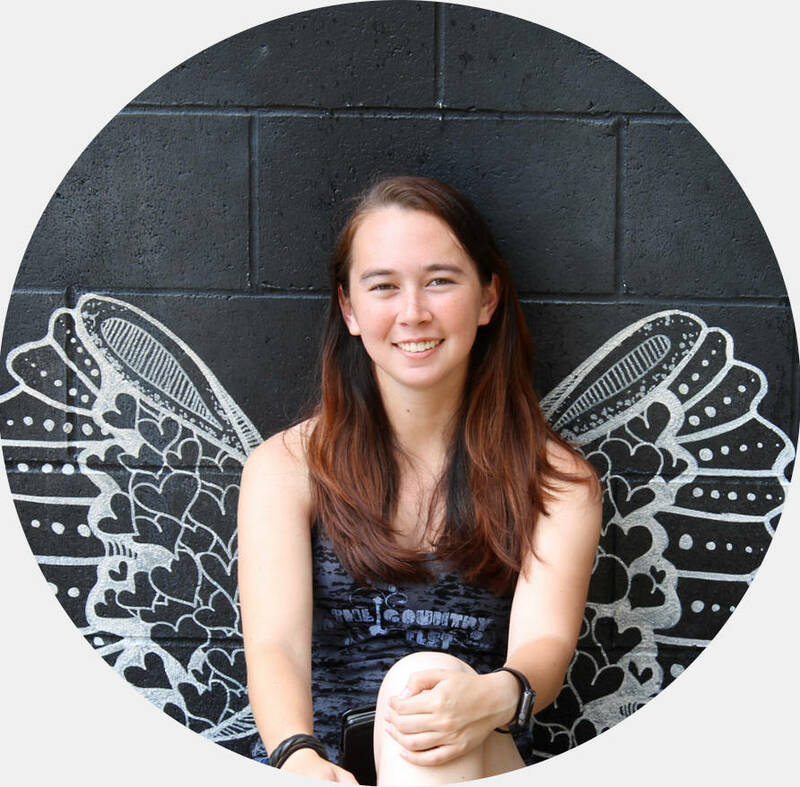 If you are lucky, you can see a whole bunch of turtles in the pond, and you may even catch a cat fast asleep just outside! A big red gate leads to the entrance of Shitennoji and just inside, they have a massive stone garden. I’ll admit that, when planning my own trip to Japan, I had thought that visiting stone gardens had sounded kind of boring, but seeing it in person was pretty cool. It’s amazing how detailed some of the patterns are, although it’s often not reflected in pictures. When I was there, I was surprised to find a big flea market going on just inside the gates, but it was only for books. People were selling lots and lots of books! It’s too bad that I really can’t read Japanese as well as I would like. If there had been English books, I would have been super excited. If you have the Osaka Amazing Pass you can enter for free. Otherwise, it costs ¥300. Osaka Castle is absolutely huge. The stone walls that surround the castle are at least three times as tall as I am, if not higher (although, that doesn’t mean much considering I’m only five feet tall). 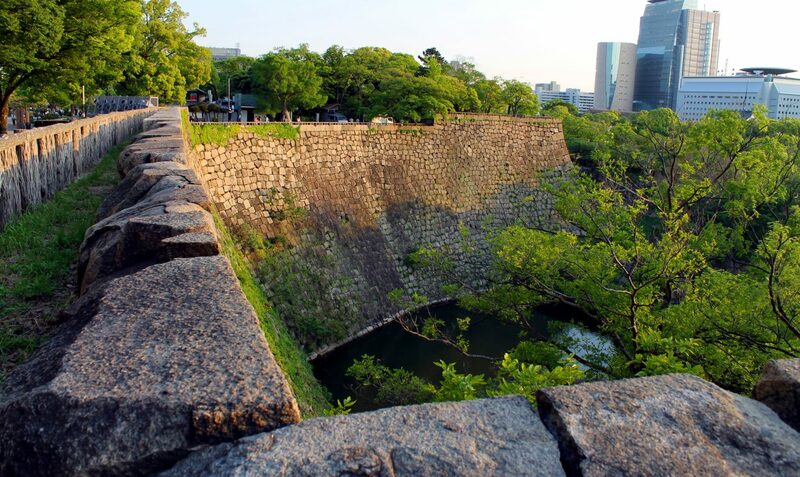 The moat that surrounds the castle looks more like it could be a beautiful river. The outside of the castle is really beautiful with its white walls and gold trim. When I was there with a friend, we started at the very top of the castle where we were able to get some cool pictures looking out over the city. Then we made our way down the several floors where they had exhibits about the history of the castle and some of the battles that occurred. Unfortunately, you aren’t allowed to take any pictures of anything inside the castle. However, on the second floor, for ¥500 yen, you can try on replicas of some of the outfits and get your picture taken. Entrance to the castle itself costs is ¥600, and entrance to the castle gardens is an additional ¥200, but if you have the Osaka Amazing Pass, the entrance fee for the castle and gardens is waived. Umeda Sky Buikding was easily the best part of my 2 day Osaka itinerary. It has 40 floors! 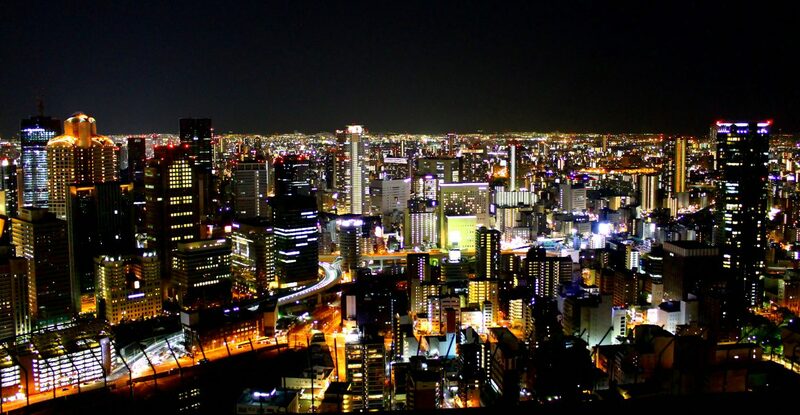 Make your way up to the 35th floor where there is an observatory that gives a 360 degree view of the city. It is absolutely beautiful! The city lights seem to extend all the way to the horizon. After enjoying the view from the observatory, check out the “Floating Garden” (which isn’t a real garden). It’s the outside portion of the observatory deck. The floor is lit up with neon and black lights so it makes the whole thing look even cooler. Once you’ve walked around and seen everything, I suggest getting some coffee or tea from the café area inside and taking a seat at one of the tables by the window. Personally, I would totally love to work in an office building with that kind of view. It’s pretty, that’s for sure, but there is something else about being up that high and looking out over the city. It inspires confidence. It makes me feel like I can take on the world. Entrance to the Floating Garden (the name of the observatory), is also included in the Osaka Amazing Pass. Otherwise admission is ¥1000. 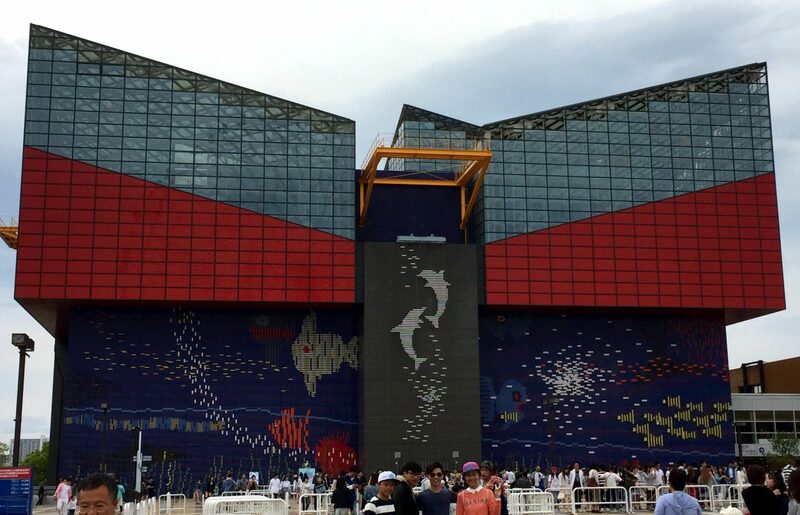 Osaka Aquarium Kaiyukan once held the record for world’s largest aquarium and has 8 floors worth of exhibits! Some of the fish in the aquarium were easily twice the length of me. 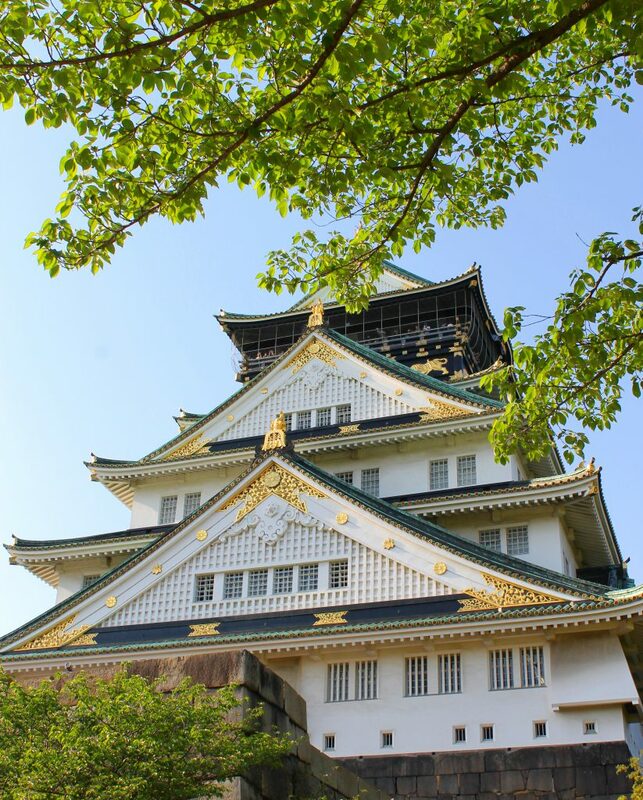 It’s one of the top things to do in Osaka, but not surprisingly, it’s also often crowded. If possible, it’s best to visit during the weekday when kids are in school. 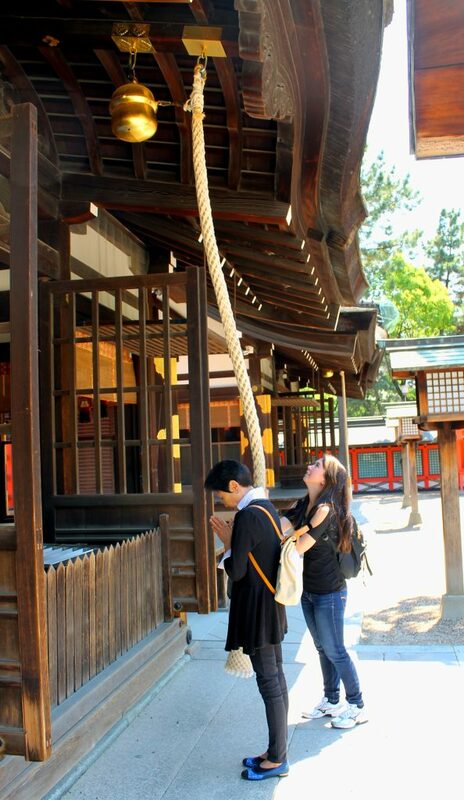 Don’t be like me and go during Golden Week (a string of holidays in Japan that is a very popular time for travel). It was crazy busy and I’m crazy short, so it was hard for me to see a lot of the exhibits. However, with a little bit of patience, I would get a chance to move up front, and for the most part I got to see everything. You can book your tickets for Osaka Aquarium Kaiyukan in advance through Klook, or you can purchase them at the door for ¥2300. 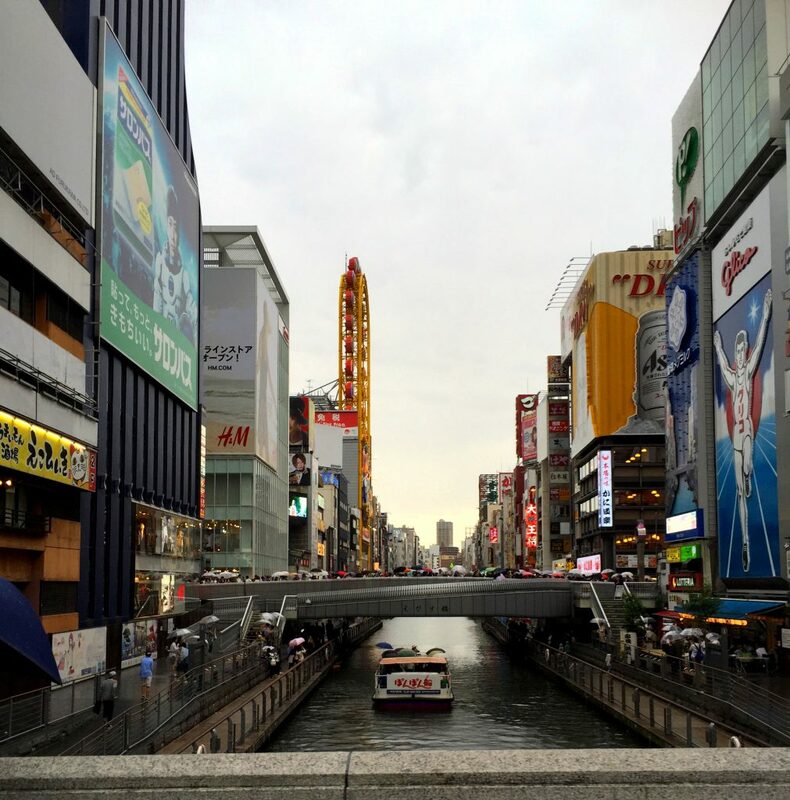 After Osaka Aquarium Kaiyukan, head over to Dotonbori, Osaka’s famous shopping street. It consists mostly of food shops, but also has game centers, karaoke, clothing stores, and general markets. It’s a great place to spend several hours. You can get lunch at one of the street vendors, do some shopping, karaoke, bowling (you can try out the moonlight strike game), and then get dinner at one of Dotonbori’s great restaurants or try some of their fantastic chocolates. If shopping isn’t your favorite thing to do, you could also consider checking this area out by mario go kart! When I was Osaka, I stayed in one of the suburbs just outside the city at a friend’s house. It was a super cute little neighborhood, but unfortunately it’s almost entirely housing and doesn’t offer many options for travelers. 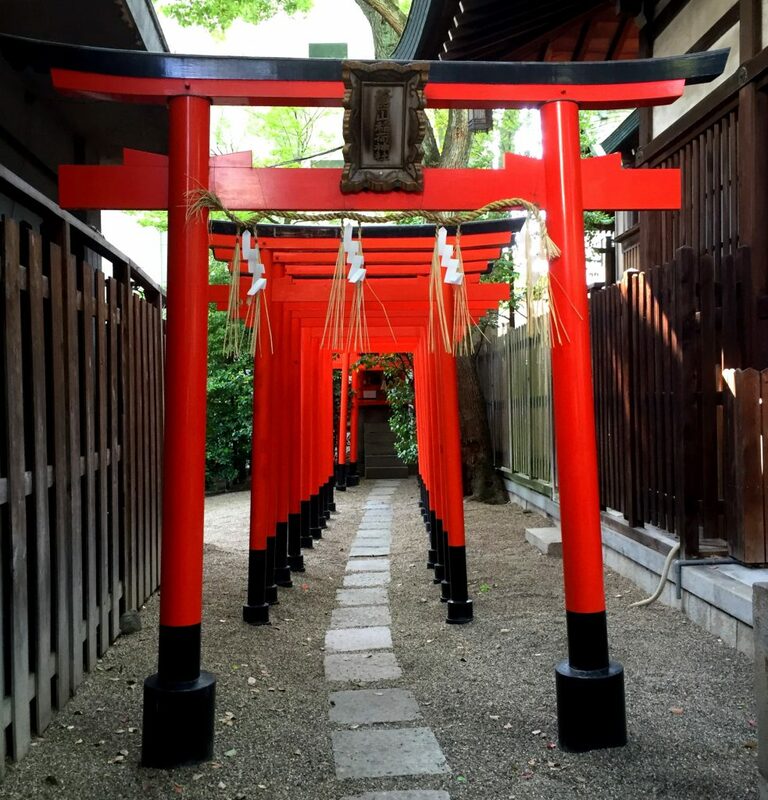 I recommend checking out this list of places to stay in Osaka in order to find something closer to downtown. Unlike Kyoto, Osaka’s bus system isn’t overly extensive, which means that train is the easiest way to get between the various attractions in Osaka. Taxis are also available, but are expensive in comparison to taking the train. Unfortunately, your ability to use the JR Pass within Osaka will probably be limited. The JR Osaka Loop Line goes around downtown, but unfortunately, in order to get to many of the attractions on my 2 day Osaka itinerary, you’ll have to take private railways. For this, it’s probably best to pick up an IC Card so you don’t have to buy individual train tickets. All major IC Cards are interoperable, meaning no matter what type of IC Card you get (Icoca, Suica, Pasmo), it will work just fine for the trains in Osaka. By Shinkansen (bullet train): This is probably the easiest way to get from Tokyo to Osaka. If you have a JR Pass, you can ride the Shinkansen at no additional cost (see if the JR Pass is worth it for your trip). From Tokyo Station to Shin-Osaka Station, it takes about two and a half hours. By Plane: This is probably the fastest way to get to Osaka from Tokyo. From Haneda Airport to Osaka airport is about an hour long flight. However, once you add in the time it takes to get through check-in, going through security, etc, it probably takes just as long, maybe even longer, than taking the Shinkansen. By train: The easiest and most common way to get from Kyoto to Osaka is by train and takes about half an hour. There are several JR Trains that run between Kyoto and Osaka (meaning you can use your JR Pass), including the JR Tokaido-Sanyo Line and the JR Thunderbird. By Train: The JR Yamatoji is the easiest way to get from Nara to Osaka and takes about an hour. There are also some other available routes with private railways like Kintestsu-Nara Line and Midosuji Line. 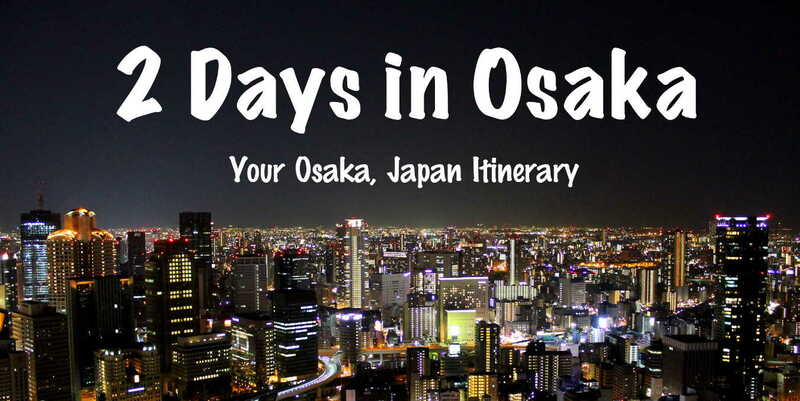 What do you think of this 2 day Osaka itinerary? Have you been to any of the places on this itinerary? 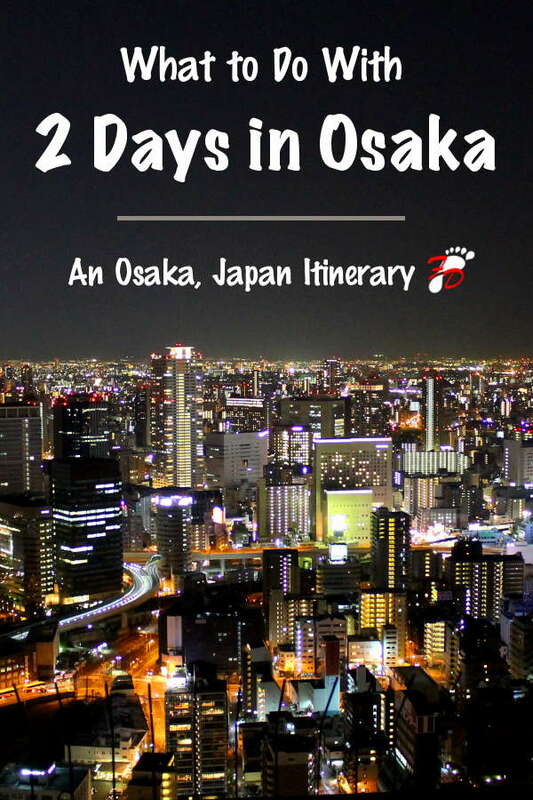 Are there any things to do in Osaka you think I missed? Let me know in the comments below!